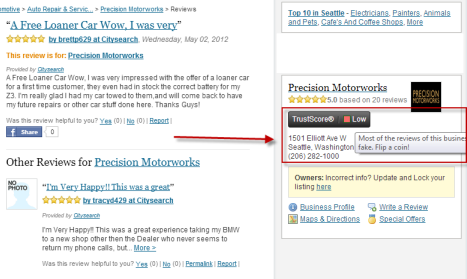 Judy’s Book shows TrustScore® to showcase suspicious and honest businesses. 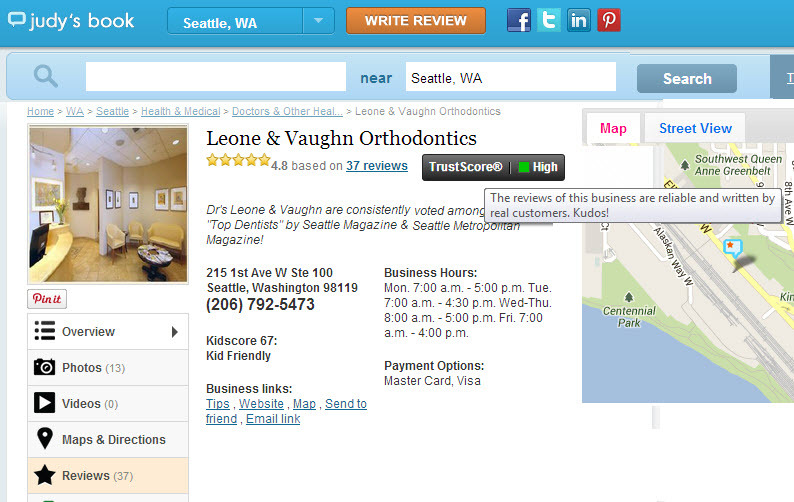 We just rolled out TrustScore® for business listing pages. 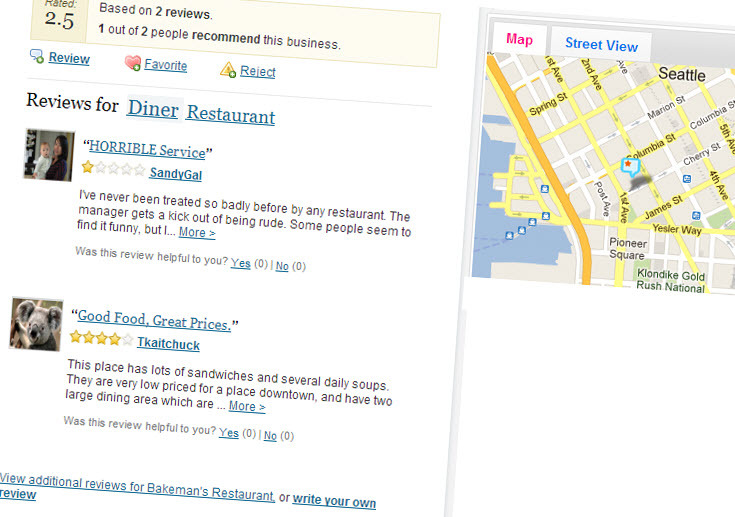 A Judy’s Book TrustScore® lets users gauge the reliability of the businesses reviews. 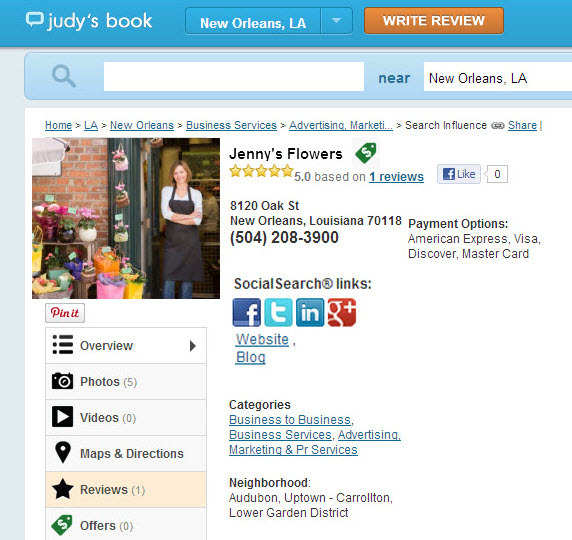 The Judy’s Book review filter has flagged and filtered out multiple reviews on Low TrustScore® businesses, these are typically places that engage in attempts to game the system. TrustScore® works off about a dozen factors before making a determination. 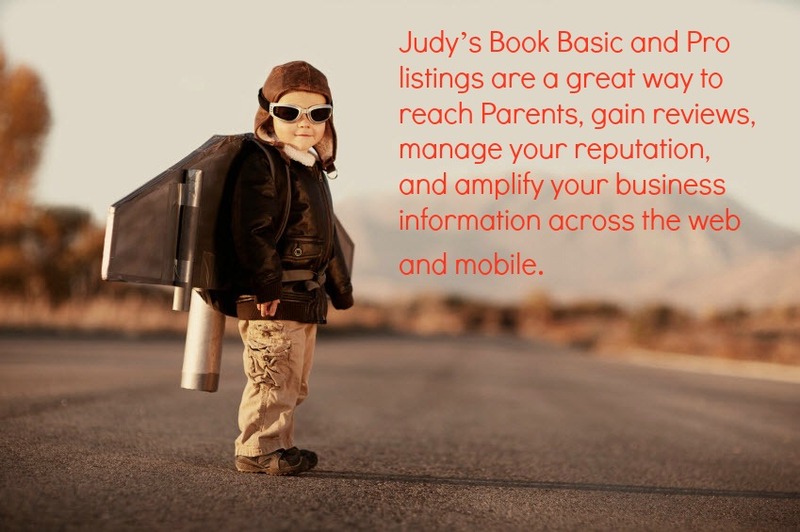 Judy’s Book hopes to encourage honest reviews and businesses by exposing this new feature to consumers. To find out more about the TrustScore simply click on the TrustScore icon or page. This entry was posted in Judysbook on October 21, 2013 by judysbookblog.